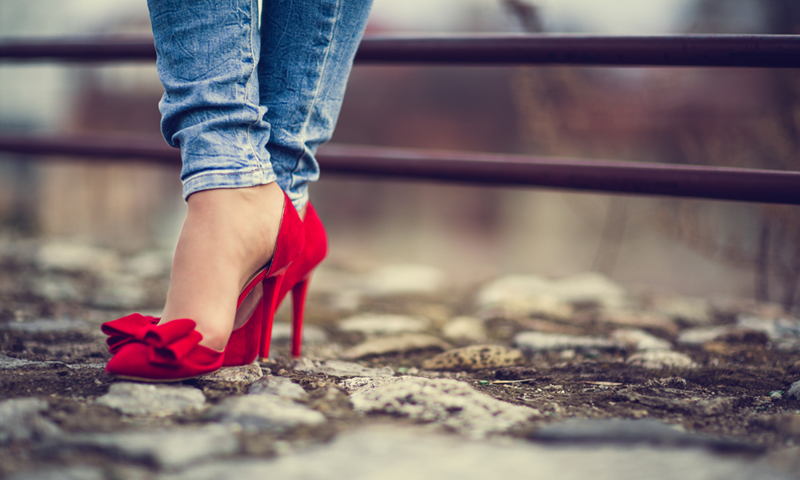 Numb One, Numb All Stiletto Fans: Can Foot Numbing Spray Really Spray Foot Pain Away? Can high heel pain and other foot discomforts really be eliminated with a foot numbing spray like Heel No Pain or Still Standing? Women have been enduring foot pain due to high heeled shoes for centuries, but a couple of relatively new foot numbing sprays on the market could permanently eliminate the saying "beauty is pain" — at least in the foot world. What’s more, each foot numbing spray may be able to ease pain due to other foot issues like blisters, bunions and plantar fasciitis. In 2013, Beverly Hills plastic surgeon Randal Haworth released a line of foot-care products meant to “temporarily alleviate the pain and discomfort associated with fashion footwear.” His line high heel pain eliminating numbing products includes a cucumber-scented Heel No Pain/Style and a peppermint-scented Heel No Pain/Active, the first being for foot pain associated with stilettos and the second meant for athletes experiencing painful foot issues. When sprayed on the foot, Heel No Pain/Style instantly creates a tingly, numbing effect that temporarily takes away pain from things like cramming your toes into pointy stilettos, teetering on the balls of your feet in super high spikes, and wrapping your feet in strappy sandals. The effect lasts several hours, making it perfect for long days of running around in heels and spot treatment for pained areas. Another pain-reducing foot spray on the market is Still Standing, which contains natural products like menthol, arnica and aloe (which are known for their anti-inflammatory properties and cooling sensation). But Are Foot Numbing and Cooling Sprays Safe? 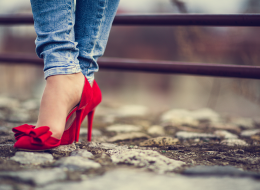 Many experts consider Heel No Pain/Style and Still Standing to be safe products, but some doctors warn that they shouldn’t be used to eliminate foot pain caused by wearing high heels. Podiatrists believe foot pain is an indication that something is wrong, and it’s much safer to switch to more comfortable shoes rather than masking the discomfort with a pain-reducing spray. After all, ignoring your body’s warning signs could cause irrevocable foot damage. However, when used sparingly, Heel No Pain/Style and Still Standing can be powerful tools in any fashionista’s arsenal.